It's May 2nd and I'm thinking about turning the heater on. Our brutal Chicago winter is extending into Spring and causing a lot of angst in the process. However, I don't really want a cold salad when the temps are hovering in the 40s. So today's recipe incorporates sprouts with a hot brown rice for healthy fried version. It's warm, comforting with a hint of Spring freshness. 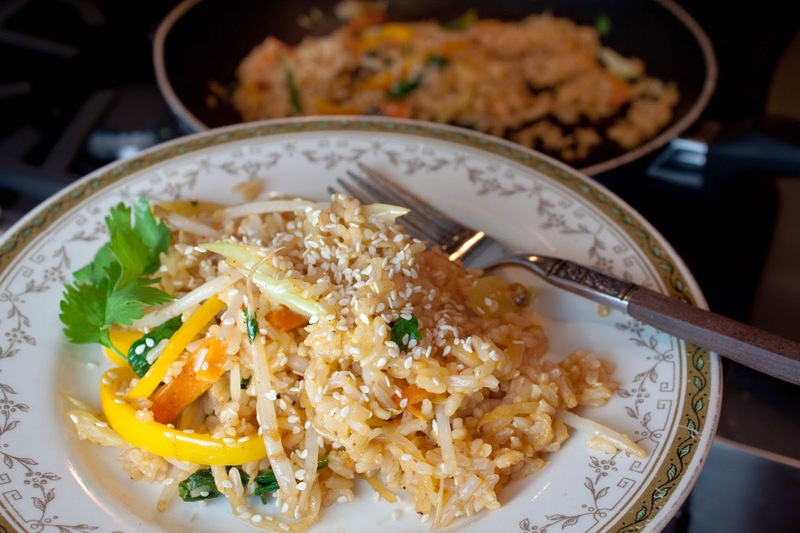 Warmer weather is just around the corner; until them, try my Healthy Fried Brown Rice to. Oh, is that a little blade of grass I see popping up? Fat and Happy Food Blog Tips and Techniques: This recipe is a great way to use up any left over grain, just substitute the grain you have for the brown rice. Add any meet for a little protein kick. Heat the coconut oil over medium high heat. add the onion and carrots, cook for 2 minutes, tossing often. Add in the garlic, toss, cook for another minute. This made two meals for me but it could be just one plate of food. 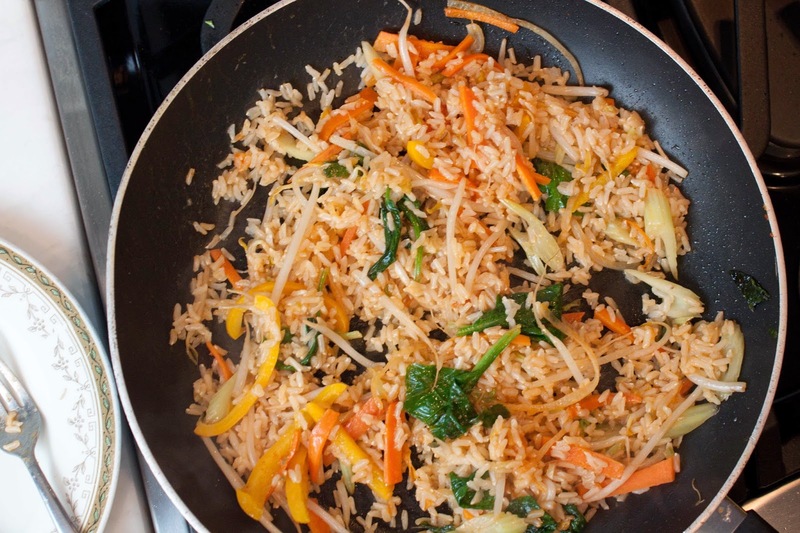 You could stretch it just by adding in more brown rice, meat or even an egg or two.